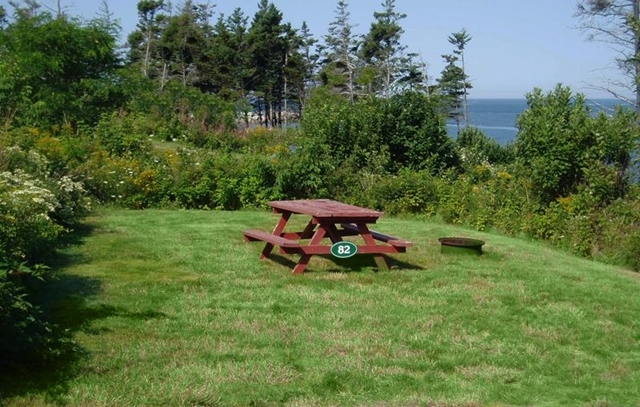 Site #82 is a grassy Oceanfront un-serviced tent site of medium size with a beautiful view of the Bay of Fundy. This site is one of three in a waterfront compound ideal for groups of friends who wish to camp together. 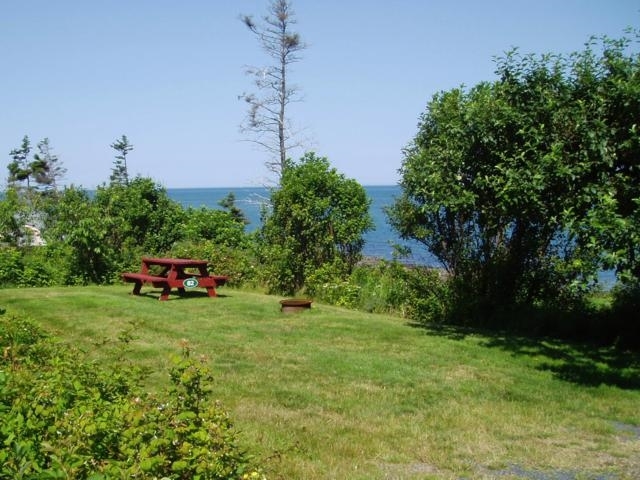 Steps away from the common path to the shore, this site is equipped with a picnic table and fire ring and drinking water taps and portable toilets are located nearby. Tres beau site, vue extraordinaire de l’eu. Emplacement tres propre. Acceuil des plus chaleureux.